Meet Sibella! 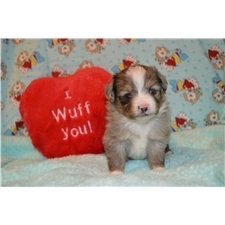 Very adorable small toy Australian Shepherd Puppy. Puppies are raised with lots of love from the moment they are born, no kennels, no barns, just a loving home like yours. Tails are left natural and cruelty-free. Sibella has four white feet, white tipped tail and beautiful copper. She is very sweet, playful, friendly, outgoing, and especially loves attention and to be held and cuddled. She will have received her first set of puppy vaccinations, be veterinarian examined, wormed and has had dewclaws removed. She was born November 17. In their last litter their pups full grown weigh 5.5 lbs. to 7 lbs. They are single coated and their coats are easy to maintain. Puppies will come wit a puppy package which also includes a homemade blanket that smells like their littermates and mom. Both parents are champion bred and come from generations of small toys. Dad weighs 6.5 lbs. and mom weighs 8.5 lbs. Parents have been chosen from across the country to include some of the top bloodlines. Pups will be small toys. Pups will come with registration papers thru ASDR without breeding rights. Breeding rights are are available for an additional charge. Taking deposits, weekly pictures of your puppy will be sent to you until they are ready for their furever home. 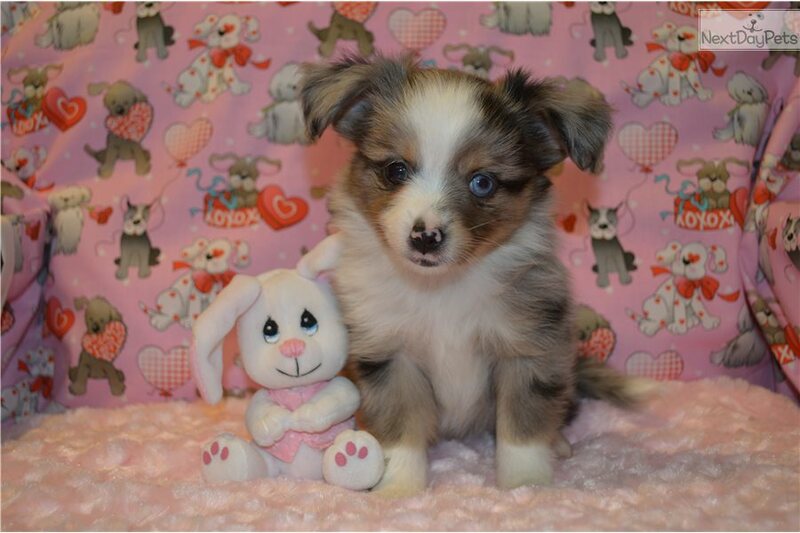 Toy aussies are highly intelligent, loving, affectionate and make exceptional companions. From our loving home to yours, exceptional puppies for exceptional families. Life with an aussie is one of the most rewarding experiences. Get ready for fun! More pictures available. $300 deposit to hold, ready to go at 8-10 weeks of age.